We're an engineering software developer who's created tools to help you get your drawings done quickly. CAD Experience and CAD Software not required. Dynamically create parts using simple dialog controls. Mech-Q is a professional engineering suite designed to work the way you do. Mech-Q supports all versions of AutoCAD, AutoCAD LT, and more. Modules include Mechanical, Piping, Ducting and Structural. Efficiently create drawings in 2D & 3D. 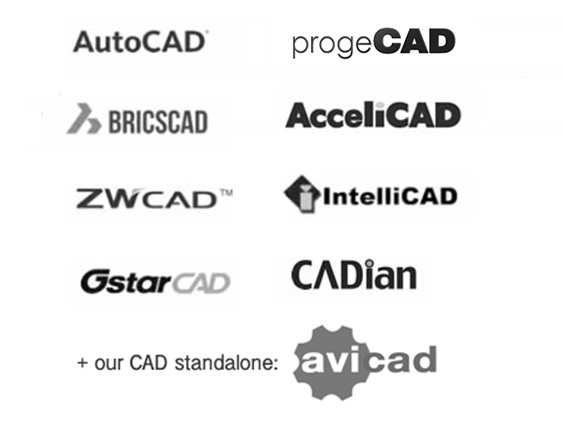 AViCAD is a complete CAD Stadalone just like AutoCAD® but at a smaller price. Loaded with hundreds of Architectural and Engineering tools already built in. AViCAD opens, edits, and saves to DWG files. Compatible with AutoCAD. 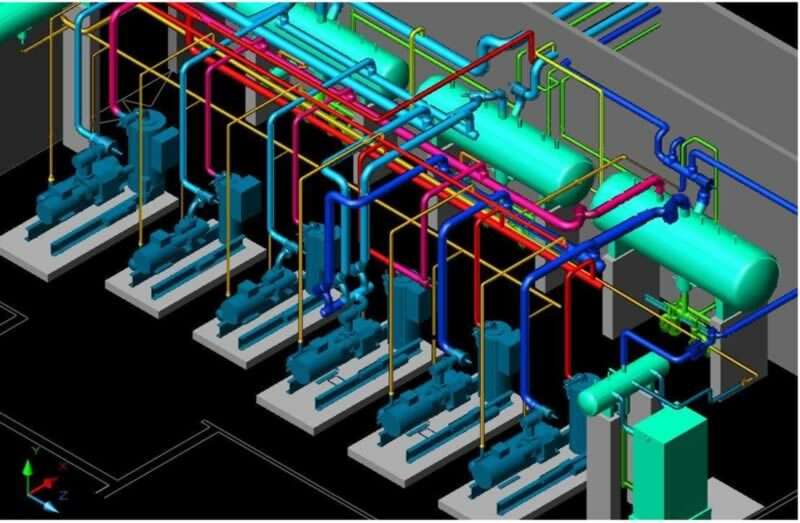 Since 1992 we’ve developed and distributes CAD software products for a wide range of engineering fields ranging from Mechanical, Piping, HVAC and Structural Steel Detailing. Whether you are in the commercial, food & beverage, petrochemical, biotechnology, heavy industry, marine, mining, military, pharmaceutical, pulp & paper, energy generation and various other markets. Our esteemed clientele ranges from students starting off in drafting up to world-class moguls such as BP, ExxonMobil, Shell… boasting over 26,000 engineering & drafting clients in over 59 countries. 3D Model Created By Mech-Q inside AutoCAD. Great. Our Mech-Q add-on the right solution for you. You can use the CAD engine you are already familiar with. You’ll be able to make all of the pipes, pumps, plumbing, duct, structural steel, bolts, nuts, washers, tanks and their respective fittings. We also offer a standalone. No problem. We’ll supply you with the CAD portion plus the Mech-Q tools all at one low price. This package is an all in one solution featuring AutoCAD-Like commands plus it’s loaded with powerful tools to create both 2D and 3D drawings. You'll choose your product next. Try subscription options free for 15 days. Cancel within 15 days of sign up and you won’t be charged a thing. Or choose our Lifetime option and get registered right away. .